Did you know that Super Mario Bros. was actually supposed to be Nintendo’s great big goodbye to the NES? Wait, whaaaat? Yep - even though Super Mario Bros was the first major NES game in North America, in Japan, the 8-bit system Famicom came out almost two and a half years before we got the NES. By the time Super Mario Bros came out, Nintendo was already planning on going all, “new phone, who dis?” on the NES and instead replace with the Famicom Disk System, which would read games off of rewritable floppy disks. But we never got the disk system, as Nintendo decided instead to stick with the cartridges (we can’t even switch to the metric system 50 years after everyone else has, so. Makes sense). Ironcially, the game that was a supposed to be one big epic goodbye to cartridge games ended up being the game that launched Nintendo into a stable of home entertainment! Pretty cool, right? You know what else is cool? 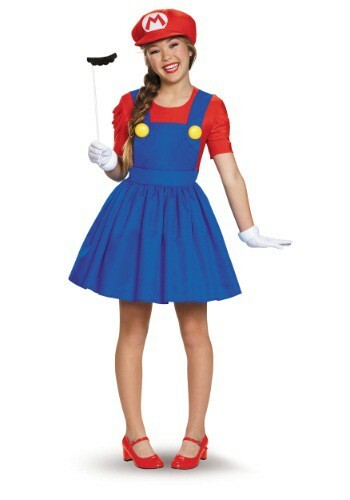 This Tweens Mario Skirt Costume! Anyone who thought that Super Mario Bros was just for boys didn’t actually grow up with Super Mario Bros, because if they did, they would know that the girls were dominating that game since the moment it came out. And now we’ve (finally) got the costume to prove it! This super cool costume will show your gamer cred (not as much as knowing those underground cheats, though!) 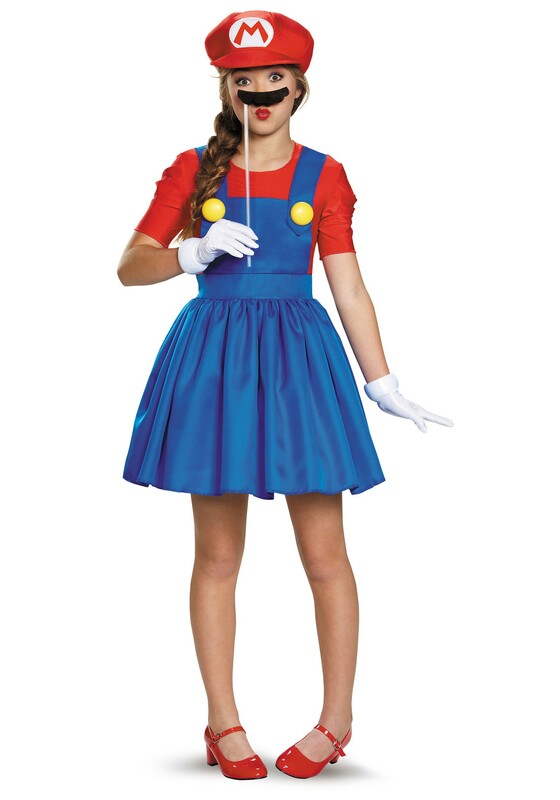 while also giving you the perfect outfit to make your way through the Mushroom Kingdom! Pair up with a Luigi (or is that Luigiette?) and get ready to be the perfect Nintendo duo!